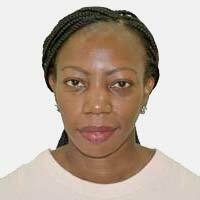 Bridget, a Malawian national, is the Resident Manager, Hospitality and Travel Services (HOSTRAS) at IITA-Ibadan. Bridget has General National Vocational Qualification (GNVQ) advanced certificate in Hospitality and Catering at Boston College in Lincolnshire, England and Studied BA Hospitality and Food Management at Birmingham College University, England (formerly known as Birmingham College of Food and Creative Studies). She has over 19 years in the Hospitality industry, including college years. After gaining years of work experience from Hotels like The Hilton Hotels, Malmaison Hotels and City Inn in Birmingham England, Bridget returned to Malawi where she worked for Crossroads Hotel Lilongwe (Formerly known as Cresta Crossroads Hotel) for 8 years where she held several senior Management positions. She later joined The Latitude Hotels in 2014 as General Manager for both Latitude 13 in Lilongwe and Latitude 15 in Lusaka. Bridget loves sports and travel and is fascinated with different cultures, food and wines.